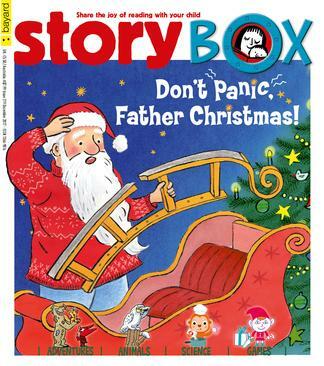 With StoryBox magazine, share the joy of reading with your child! * An engaging and exciting 25-page story that young children will enjoy listening to, beautifully written and illustrated by top artists from around the world. * Wonder with Whizkid introduces children to science and answers their questions about the world, with clear pictures and concise explanations. * Picture stories with great adventures and endearing heroes children will easily idenfity with. * Animal World has beautiful illustrations and simple texts, introducing children to a new animal and its natural habitat every month. * Games and fun activities stimulate children’s creativity and observation skills. * Poems and rhymes encourage children’s love of words and language. All this in a single magazine! And unlike all the other children's magazines, StoryBox is absolutely advert-free. StoryBox has been published in the UK for 20 years. This is a great magazine for pre-school and younger, primary school aged children. It does not have advertising. It is a well produced & illustrated magazine with a lot to read and look at in every issue.